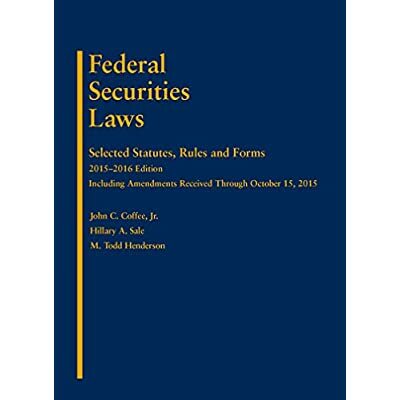 This volume serves as a federal securities laws supplement, providing selected statutes, rules, and forms. It is the most complete supplement available and is regularly updated and revised. Contents include the Securities Act of 1933, Security Exchange Act of 1934, Investment Company Act of 1940, Investment Advisers Act of 1940, SEC Rules of Practice, and related federal laws. This edition has a cutoff date of October 15th, 2015.